How breathtaking is this big, beautiful bowl of pasta? I mean, come on… you’re drooling right now, aren’t you? I know it looks like this Slow Cooker Bacon Ranch Chicken and Pasta came from a 5 star Italian restaurant, but it didn’t! 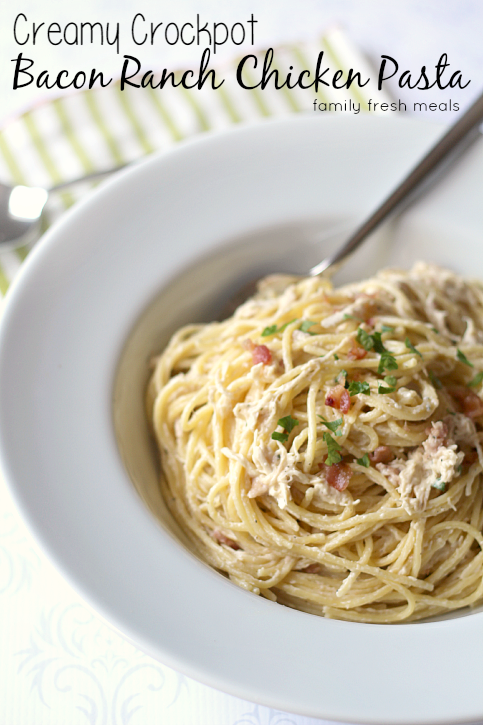 This super easy peasy recipe is cooked right in your crockpot. Amazing, right?! This easy dinner is full of flavor, and only requires a few pantry-staple ingredients. 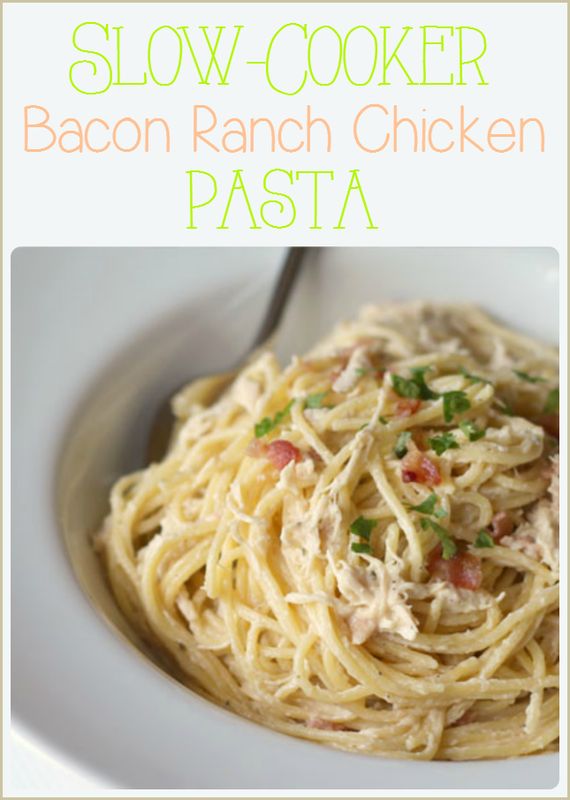 The creamy combination of chicken, bacon and ranch is sure to please any. 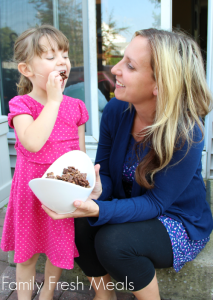 I’m willing to bet that even your pickiest eater will be begging for seconds! Choose your favorite kind of pasta noodle, add a side salad, and you have a well rounded meal to bring to the table. 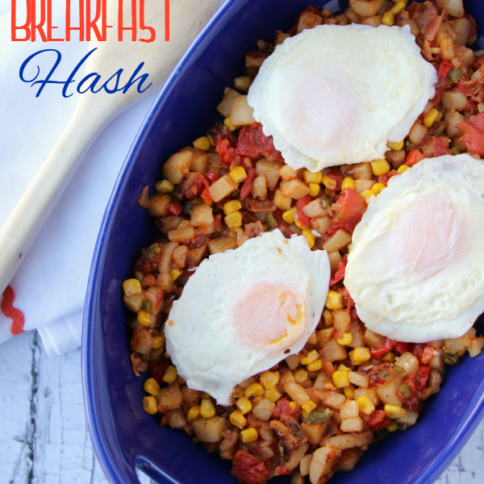 Wanna know how to whip up this family favorite? 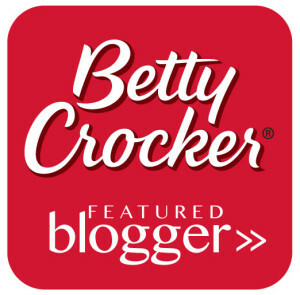 I created this mouth-watering recipe for BettyCrocker.com, yum, right?! Spray 4-quart slow cooker with cooking spray; place chicken breasts in cooker. In medium bowl, mix remaining ingredients except spaghetti. Pour over top of chicken. Cover; cook on Low heat setting 6 hours or on High heat setting 3 to 4 hours. When about 15 minutes are left, cook and drain spaghetti as directed on package. 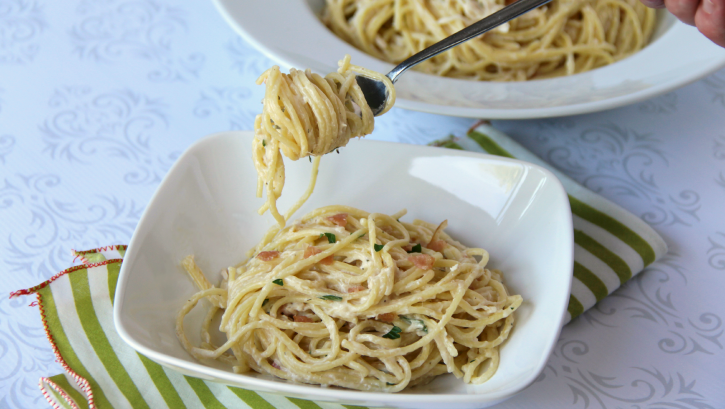 Just before serving, shred chicken with 2 forks, and toss creamy chicken mixture with cooked spaghetti. Sounds so yummy! Definitely will go check it now. Thanks! The link for me doesn’t show the ingredients just the steps. Is there anyway you can send me the ingredients? 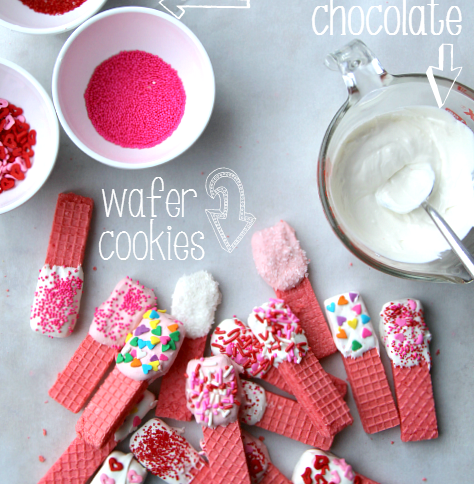 Trying to make this today! I have everything for it, just need to know measurements. Thanks! My name is Cori also 🙂 I just love when I find another girl named Cori 🙂 I will be trying this recipe next week and I just started following your pinterest. This recipe sounds YUMMY! Can’t wait to try. Have a blessed day. I love the idea. the ingredients don’t show up at the bottom of the post. Can you email them to me? Thanks for your posts! Great ideas for dinner. Can’t wait to try some of them. This was delish! Does it freeze well?! Tried this recipe tonight and added some peas to it. Very flavorful and filling. Not low fat though so next time I may try it with some low fat sour cream and soup. I was thinking it would be good with some sort of grated cheese but couldn’t figure out what might taste good with it. Any suggestions? I don’t see the ingredients listed? 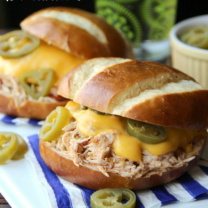 This is one of the best crockpot dishes I have ever made. My family loved it. Doubled the recipe. Went a long way for three grown men with healthy appetites and two women. Added a salad and bread and we were all sick from eating so much. Super yummy. If you are going to double the recipe, yes, double all the ingredients. As for the cooking time, you might want to add on a little more time but not much. Check and see if the chicken is cooked through after the suggested time. If not, add on another 30 mins to an hour. just wanted to know if you can double the recipe and do you double all the ingredients including the liquids. Do you use a whole packet of the dry ranch mix? So if I were to double it, I would use two full packets? Thanks. Any recommendations on how to do this in a skillet? Just tried this and we LOVE it! Thank you for sharing! Going to toss in some fresh green onions from my garden next time ! I am currently making this for the first time, I accidently added the cream of Chicken soup to the posted mixture. 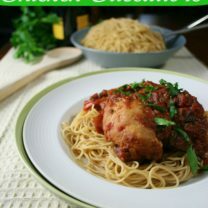 Instead of adding it at after the cooked spaghetti , I hope it’s still delicious! Is there a healthier substitute for the sour cream? Would yogurt work? Could sour cream be left out completely? I have trouble digesting dairy. Is it possible to just use Ranch dressing in the place of the sour cream and Ranch dressing packet or is it just not the same? This is an ideal recipe for those of us on low-carb diets. Use the full-fat sour cream (it’s healthy, trust me! 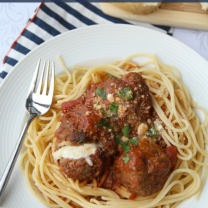 ), and use shirataki noodles instead of regular pasta. I am going to try it soon! Will the recipe still turn out as well if I use rigatoni noodles? I wasn’t sure if it would make a difference with it mixing well with the other ingredients. Was wondering instead of the cream of chicken can I use cream of mushroom? Sure! That will work out just fine. Has anyone tried this recipe on a pressure cooker? I would love to try it in mine. Could you just put the mixture on top of cooked pasta, rather than stirring it all together? Seems like it might be better that way..?